An Unconventional Relationship by Casper Graham is now available! Overworked billionaire Michael Lambert is a lonely single parent to a three-year-old daughter, while preschool teacher Lance Johnson and toy store owner Adam Williams are a devoted couple with a pair of two-year-old twins. The problem for Michael, however, is his fierce, overpowering attraction to both “unavailable” men. A fated conversation with his daughter finally prompts Michael to do something drastic about not only his work life, but his growing and unbearable sexual attraction to Lance and Adam. 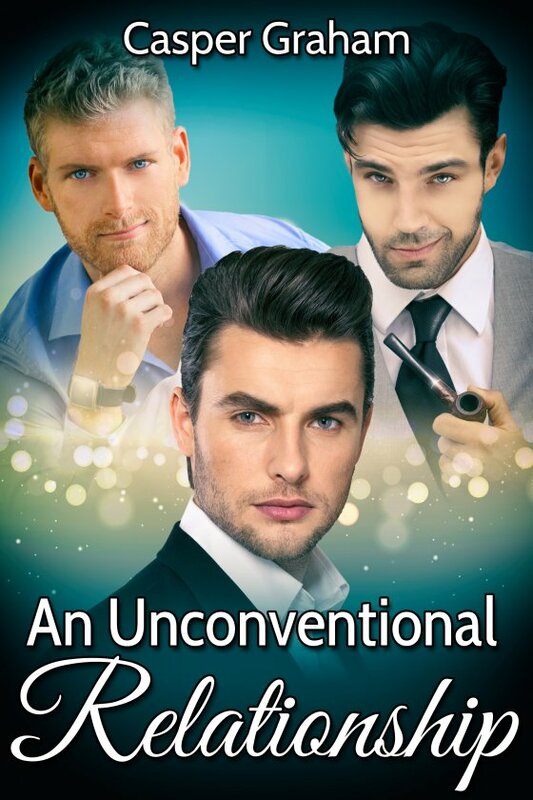 Will Michael find his “happily ever after” with either of those gorgeous, unattainable men? Or perhaps, maybe even both of them? Soon, Michael lays everything on the table, offering Lance and Adam an unconventional proposition, and the three men quickly find themselves in a situation that leads to unexpected consequences for everyone involved. Will Michael, Lance, and Adam make the right decision for their individual families, or will any or all of them crash and burn at the end of their experiment in relationships?